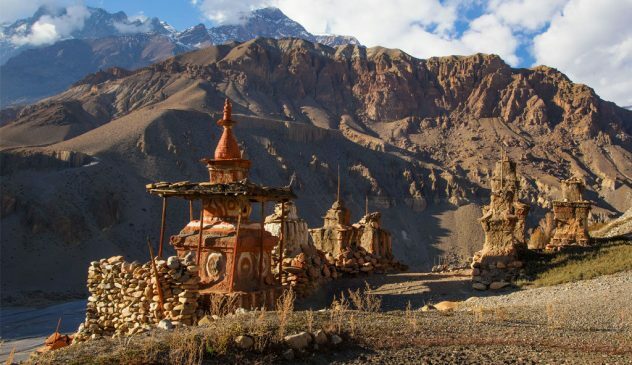 Dolpo is isolated region situated between Dhaulagiri range and the Tibetan plateau. Also referred as the last enclave of pure Tibetan culture, landscape, Buddhist religion this place was only open after 1996 for the foreigners. People here live 4300m high above sea level and still practice the pre-Buddhist Bon po or shamanistic religion. Peter Matthiessen’s “The Snow Leopard” and David Snellgrove’s “Himalayan Pilgrimage”and Eric Valli’s superb film “Caravan” has contributed mystique Dolpo to outer world. To begin this 20 days incredible journey of Lower Dolpo Kakkot Mukot area, we first fly to Nepalgunj and onward to Juphal, headquarter of Dolpo region. We walk through vast and rugged landscape; villages inhabited by Tibetan descendent people. Likewise, we cross few high Himalayan passes, enjoy serenity of isolated region visit different ancient monasteries and chortens on the way. We’ll be crossing Mula Pass on our way to Jomsom. From there we fly to Pokhara and drive back to Kathmandu. a. Lower Dolpo Kakkot Mukot trek crosses high Himalaya altitude of over 5000m with extreme temperatures of -10 to -20 degree. It is crucial to follow expedition style camping trekking facilities with highly experience Sherpa and staffs. b. The itinerary is well designed in order to allow proper rest and acclimatization to cope high altitude. Though trekkers should have well fitness and in good health condition. c. Flight between Nepalgunj to Juphal and vice versa is generally reliable. In case of bad weather, flight is cancelled often and to avoid missing international flights, we recommend 2-3 days extra at end of your trip.Also be prepared to pay some extra money for Helicopter flights. Which may cost $ 300 – $ 800 or more depending on persons on the flight. For group, we normally charter helicopter flights. Make sure that you have full-fledged insurance coverage arrangement. In our program there is two night as buffer day in case of unforeseen circumstances. Welcome to Nepal! Ramdung Expedition representative will meet you at the airport and bring you to your hotel in Kathmandu. You can take a rest or if you are arriving earlier, can visit around the city. 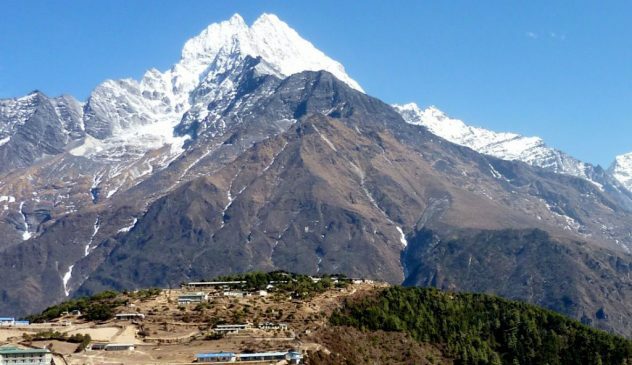 In the evening we will hold a briefing session regarding your trip and get to know your Nepali trekking companion. We’ll be happy to answer any question you may have. O/N Hotel. We walk down the river on steep trail then cross suspension bridge before climbing to the valley shoulder. After having lunch as Sangda, we climb for few hour to reach Sangda Kharka. It takes 7hrs long drive along Trisuli river and various settlements to get back to Kathmandu. we can use these days to acclimatize in any place of the itinerary. 1 full board in standard hotel in Nepalgunj. Dolpo special permit, National park & conservation area fee and all permits needed.